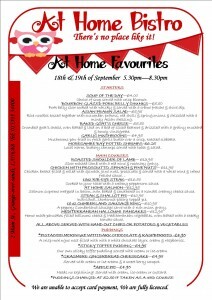 Next Bistro date – 18th & 19th of September. 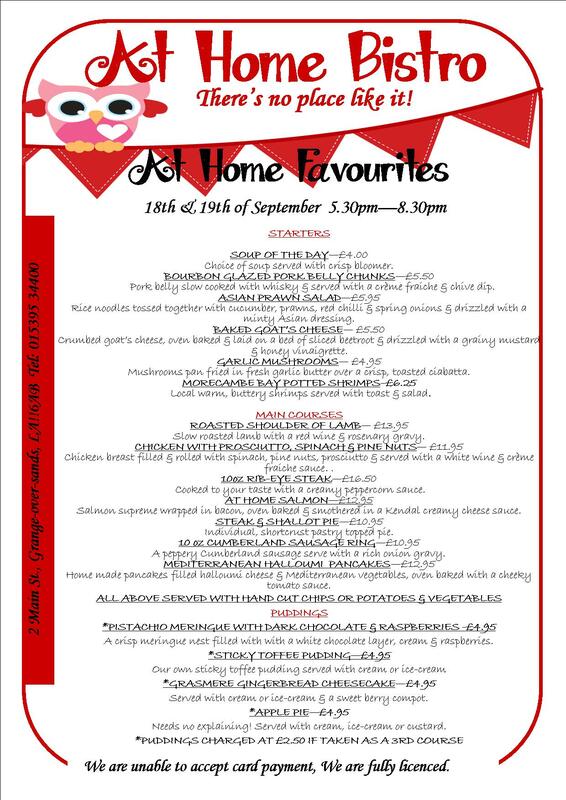 We’ve chosen some At Home favourites for September and yes of course we have Lamb shoulder on! Our next Bistro dates are the 26th & the 27th of June. 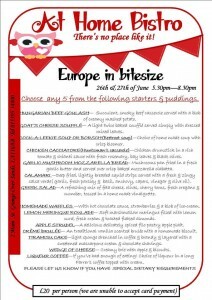 We are going on a culinary trip around Europe in bitesize. You choose any 5 dishes from the menu in any combination, a great way to sample more dishes. Hope to see you there!